Greg E. Harris has been practicing with the firm since 2004. Attorney Harris' practice encompasses all types of business and real estate transactions, with particular emphasis on succession and estate planning for involved principals. 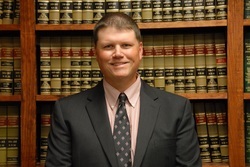 His specific experience includes business purchases and sales, estate and elder law planning, entity formation and capital structures, business and family succession planning, commercial and residential purchases and sales and commercial leasing. As a result of the breadth of his practice, Mr. Harris’ assists individuals and families with all aspects of estate and elder law planning, estate and trust administration and business and real estate planning. Mr. Harris has represented family businesses, lending institutions, manufacturing and retail companies, professional practices and restaurants throughout Eastern Massachusetts, including the South Shore and Cape Cod. Prior to joining Ohrenberger, De Lisi & Harris, LLP, Mr. Harris was associated with Sullivan & Worcester LLP and Goodwin Procter LLP in Boston where he focused his practice in general corporate and real estate representation. Mr. Harris has also served as In-House Counsel for two technology firms based in Massachusetts.